JR Motorsports is shuffling car numbers among its stable of NASCAR Xfinity Series teams ahead of the 2019 season and is introducing the No. 8 to the organization. Team co-owner Dale Earnhardt Jr. raced the No. 8 during the early year of his NASCAR Cup Series career. It also was the number raced by Earnhardt’s grandfather, Ralph Earnhardt. The No. 8 will have multiple drivers throughout the 2019 season, including Zane Smith, Jeb Burton, Ryan Truex, Spencer Gallagher and Ryan Preece. Although the No. 5 is the number going away, the No. 8 team is actually the old No. 9 team, but it will start the season with the owner points from the No. 1 team. Michael Annett, who has driven the No. 5 at JRM the last few seasons will pilot the No. 1 in 2019. He will start the season with the owner points earned with the No. 5 last year. 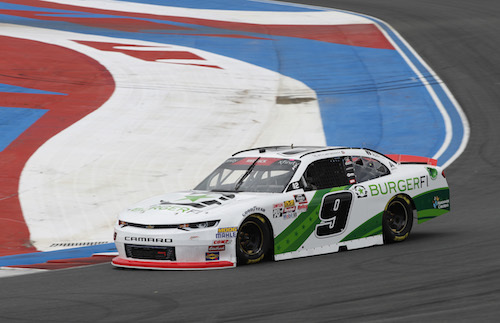 When Noah Gragson was announced as a new driver at JR Motorsports for 2019, he was announced as the driver of the No. 1. Instead, he’ll drive the No. 9. Along with the number will come the 2018 owner points attached to it. Series veteran Justin Allgaier’s No. 7, meanwhile, remains unchanged. JR Motorsports heads into the 2019 Xfinity Series season, which begins Feb. 16 at Daytona (Fla.) International Speedway, as the two-time defending series driver champions. Tyler Reddick drove the No. 9 to the series title in 2018 and William Byron in 2017. Allgaier was the 2018 Xfinity Series regular-series champion. Reddick has since moved on to Richard Childress Racing and Byron to the Monster Energy NASCAR Cup Series.